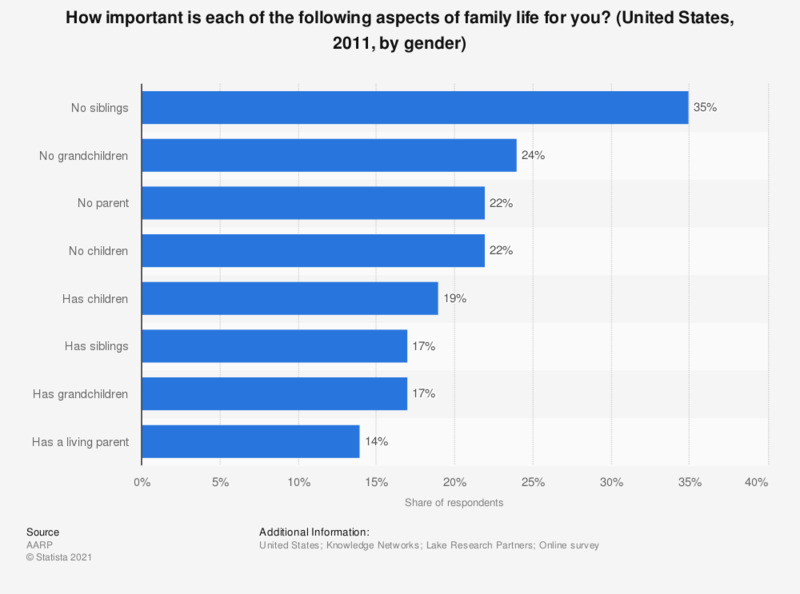 This statistic shows the results of a survey among Americans aged 50 years and older interviewing them about the importance of certain aspects of family life. When it comes to their family, 75 percent of the surveyed men and 89 percent of the surveyed women stated that communicating frequently was very important to them personally. The source posed the question as follows: "Thinking about your family, how important is each of the following to you personally?"